Have you ever had a greenhouse heater die on a cold night and lose a house of tomatoes? Or a cooler freeze or get too warm and spoil product? How about blanket wi-fi coverage so you can access a tablet-based record system? The world of farm sensors and technology is exploding, and we stay current on the technology as you are busy running a farm. Our team stays up-to-date on the current trends in the industry and specializes in how technology fits into your existing systems. If you are looking for full-system design and installation, we work closely with Smart Farm Innovations, a long-time friend and colleague. For example, we may look over your operation and recommend you implement a weather monitoring and greenhouse alarm system. You would then work with Smart Farm Innovations to design and implement the system. They even do super reasonably priced installations, so if you are too busy or not feeling especially techie, they are still commited to your success. Are you looking to increase your energy efficiency on the farm? Let us help you do a simple energy audit and connect you to state and federal funding that can pay for energy updates on your farm. The programs are easy to work with and projected savings are calculated up front so you know if it makes sense. Let us help you simplify your farm through appropriate technology. Our goal is to bring efficiency and simplicity to farms using technology. Whether through available systems, software and tools, or custom work, we are always researching ways to solve issues farmers face every day. It is our belief that technology should solve problems, not create more, so everything we design and install is thoroughly tested and created to provide peace of mind and easy maintenance. Need to know if a cooler or greenhouse gets too warm or cold? Need to know if water starts to flood a basement or a water tank becomes empty? Or maybe you need to have a way to visually check on a system or building while away at market. Whatever the need, big, small, complex or simple, SFI can find a system to fit your needs, install it and train you how to use it. Having the ability to communicate with customers on social media, handle business transactions and the vast array of knowledge on the internet available everywhere, especially at your farm or place of business is becoming a critical tool in succeeding and saving time. SFI can work with you to bring internet to even the most remote places or just boost the reliability of your office space. Have a farm store with thousands of customers coming though a month wanting internet? Need employees to be able to communicate where there isn’t cell service? 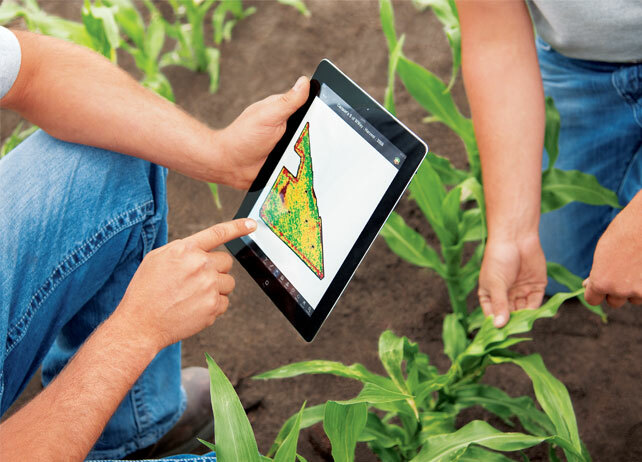 Use cloud services to plan and track harvests and wish you could do it from a mobile device in any field or remote building? Using the latest technology and reliable equipment from top manufacturers, SFI can help you achieve whole farm internet coverage. Data is becoming one of the most valuable items in business. As such, protecting your valuable, and sometimes irreplaceable, business records and files should be a priority. Whether in the cloud or on site, SFI can install and configure a solution that ensures, even in disastrous circumstances, you still have all of your business data safely stored and available. Keeping up with the latest new smart devices and knowing how they can help increase your business’s efficiency and effectiveness can be a chore. And that’s even if you know where to look for these devices and which ones to avoid. Let SFI do all the hard work for you in finding ways technology can save you money and time with all of the amazing devices and services out in the tech world. From irrigation control to smart screens, we can do all the research and assess your needs to find smart solutions to issues you didn’t know could be solved so easily. New PC’s, laptops and mobile devices come out every week. So how do you know which is the best for your needs now and in the future? SFI keeps up on all the latest computer technology and can easily determine the best fit for your business needs without compromising long term use, performance or mobility. We can even provide basic training on most office software and any kind of operating system for computers or mobile devices.